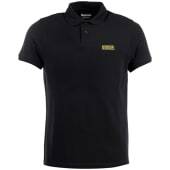 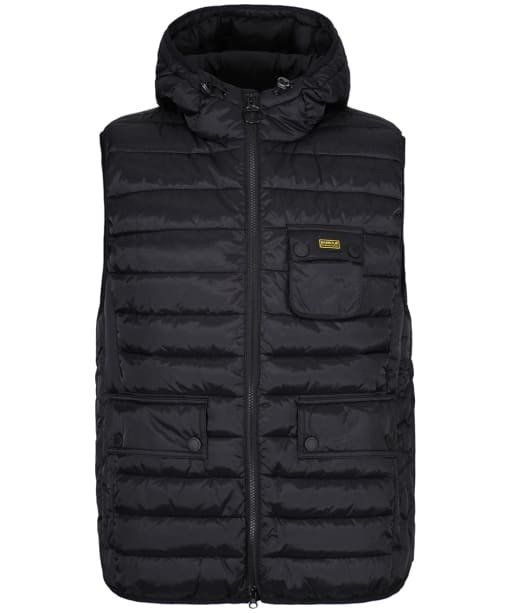 The Men's Barbour International Ousten Hooded Gilet is perfect for layering over your favourite Barbour International sweater or tee to complete your on-trend look. 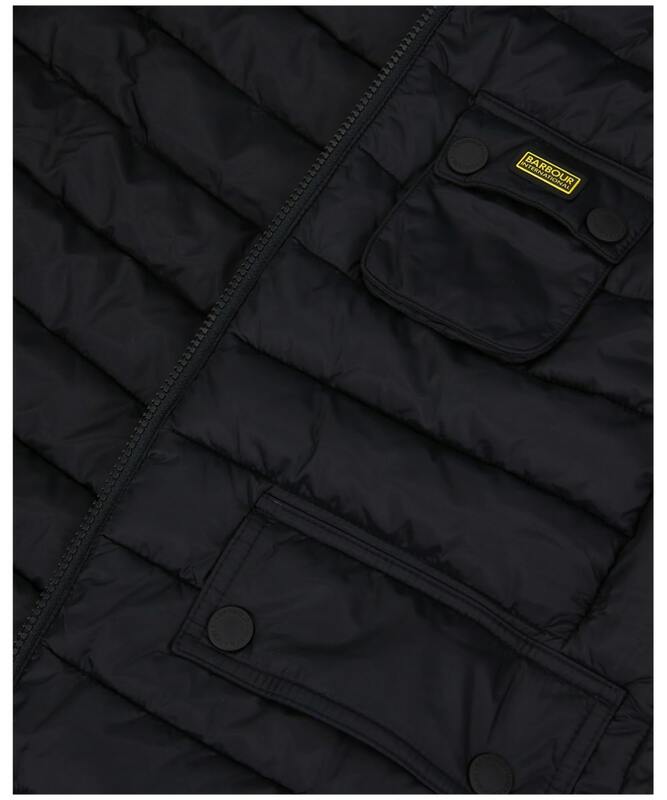 With a fixed hood to keep those showers at bay, this gilet features an iconic angled chest motorcycle pocket, reflecting Barbour International's heritage. 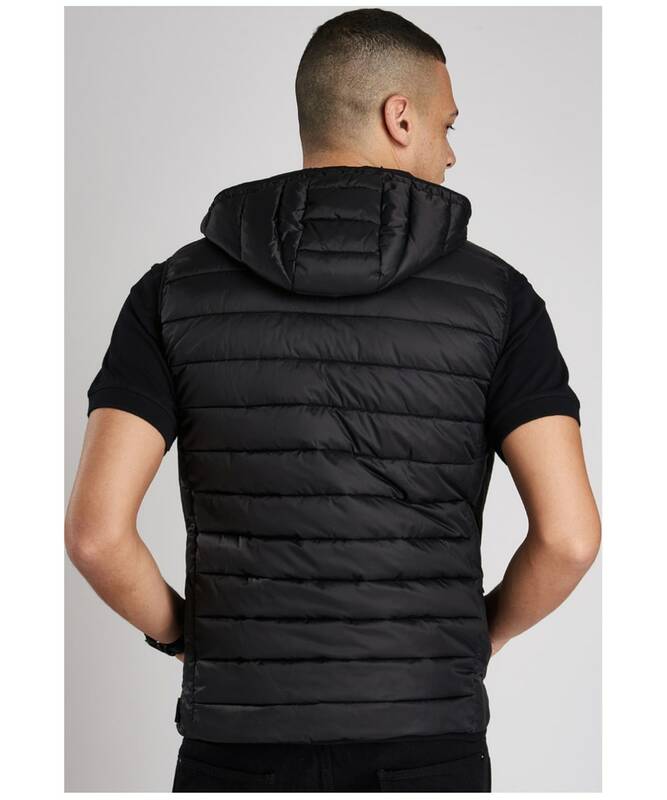 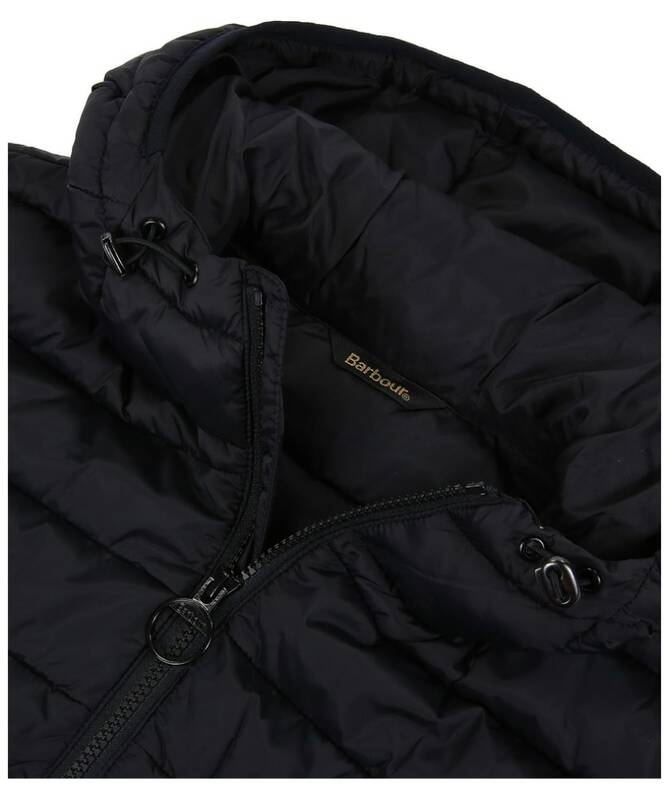 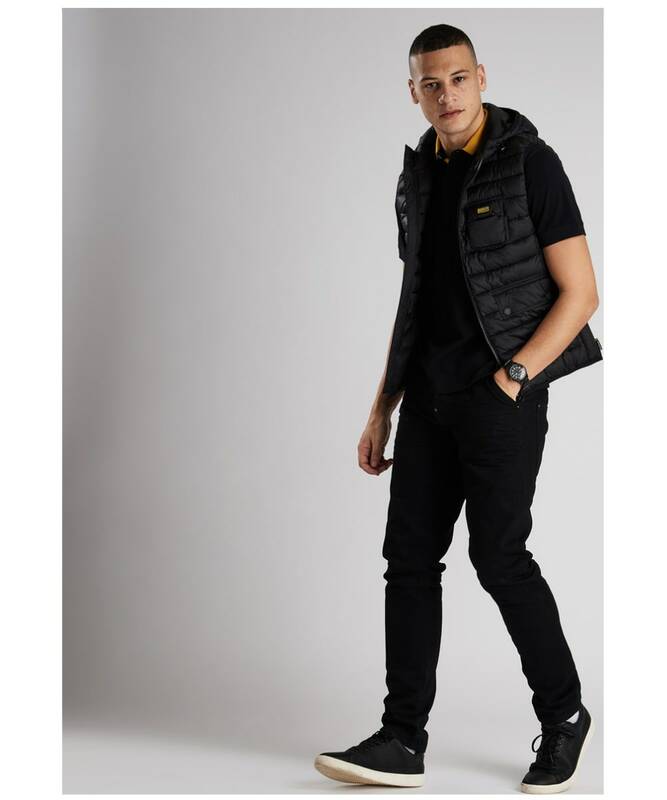 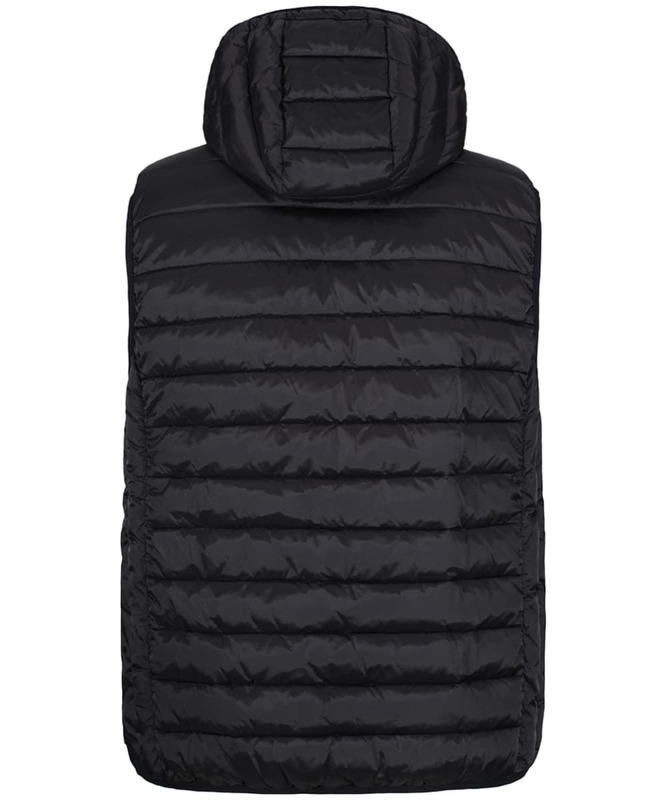 Designed with a multi baffle quilt for that added touch of style, this gilet has two welt pockets at the side and two flap pockets with stud fastening to keep your personal belongings safe whilst you are out and about.